Cheryl Waters Cheryl Waters hosts The Midday Show on 90.3 FM KEXP Seattle, and online at www.kexp.org. As the On-Air Events Coordinator, Waters also books the artists that perform at the KEXP live in-studio performances, live remote broadcasts and KEXP events. Cheryl Waters hosts The Midday Show on 90.3 FM KEXP Seattle. January 27, 2015  The Australian band's playful, psychedelic glam-rock is powered by Tame Impala drummer Jay Watson. December 16, 2012  Britt Daniel of Spoon and Dan Boeckner of Handsome Furs and Wolf Parade were responsible for one of public radio's songs of 2012, "Would That Not Be Nice." Watch Divine Fits perform the tune live. April 12, 2012  The electro-pop producer surrounded herself with equipment, and began making magic with pedals and knobs at the KEXP studio in Seattle. February 7, 2012  The Toronto band masterfully mixes classical and electronic sounds to accompany its dark, riveting vocals. January 6, 2012  With a huge smile and magnetic presence, the young soul singer gives a fiery, passionate performance in KEXP's studio. 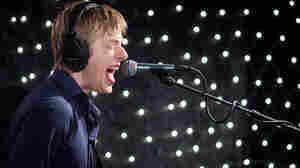 December 1, 2011  With a clear voice and stories for miles, the Alabama rocker's heartfelt music and poignant lyrics packed a punch when he and his band performed live at KEXP. 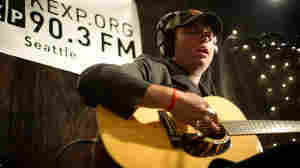 Active Child at KEXP Studios in Seattle. October 6, 2011  KEXP host Cheryl Waters does her best not to steal the members of Active Child as her personal entertainers. 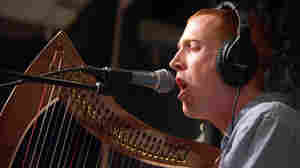 Hear why in this breathtaking performance from the harp-toting, otherworldly-voiced Pat Grossi and his band. September 25, 2011  The adventurous young songwriter adds live strings and expansive production to her arsenal, though her unmistakable vocals remain front and center. July 12, 2011  Zola Jesus' powerful voice sends this synthpop band into overdrive. 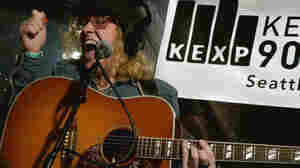 Listen to the singer-songwriter deliver a dark, heart-thumping set to KEXP. 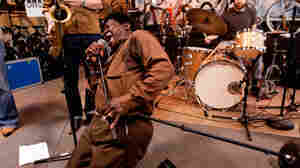 April 26, 2011  In this riveting and heartfelt performance from Mellow Johnny's at SXSW, Bradley is possessed by the spirit of James Brown. Hear Bradley's performance from Mellow Johnny's Bike Shop for KEXP, recorded in Austin, Texas. 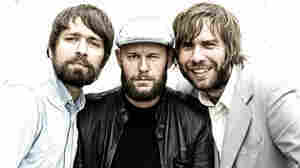 March 7, 2011  The Welsh rock trio's first proper full-length album lives up to the buzz that's been building since The Joy Formidable's first shows in 2008. KEXP host Cheryl Waters writes that The Big Roar, heard here in its entirety until March 15, is nothing short of brilliant. 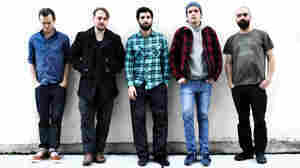 December 7, 2010  Led by singer-songwriter José González, the Swedish band has returned from a long-term hiatus with an album called Fields. Junip recently stopped by the KEXP studios to show off a handful of its new songs.